Located in the heart of Baeza, this hotel is steps from Baeza Town Hall, Torre de los Aliatares, and Convento de San Francisco. Plaza del Populo and Church of Santa Cruz are also within 5 minutes. Situated in Baeza, this hotel is within a 10-minute walk of Plaza del Populo and Plaza de Los Leones. Baeza Town Hall and Palacio de Jabalquinto are also within 15 minutes. 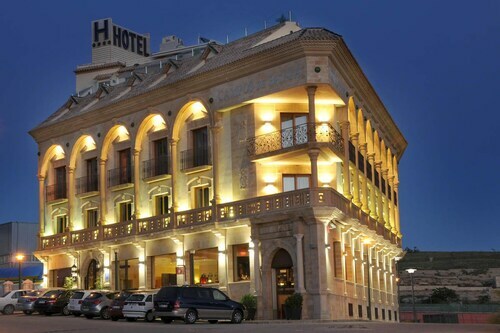 Located in the heart of Baeza, this historic hotel is within a 5-minute walk of Torre de los Aliatares, Baeza Town Hall, and Convento de San Francisco. Church of Santa Cruz and Palacio de Jabalquinto are also within 5 minutes. 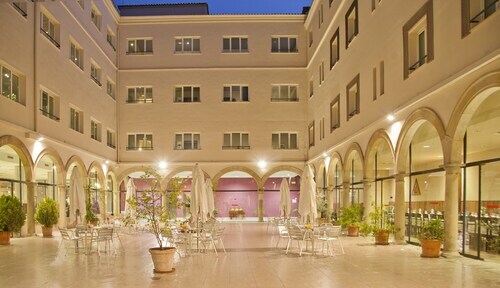 Situated in Baeza, this hotel is steps from Baeza Cathedral, Plaza de Santa Maria, and Fuente de Santa Maria. Palacio de Jabalquinto and International University of Andalusia are also within 5 minutes. How Much is a Hotel Room in Old Town Baeza? Hotels in Old Town Baeza start at $45 per night. Prices and availability subject to change. Additional terms may apply. If you are planning on roaming through Jaen and get struck by the urge to experience Old Town Baeza, as a prepared traveler, you would do well to book in advance through Travelocity's hotels page to make sure you end up with the most appropriate place to kick up your feet. You will find 9 lodging options within and around town that should work for you. Securing convenient accommodation in central Old Town Baeza is a breeze. Our hotel guide lists the Hotel Puerta de la Luna and TRH Baeza City, all of which are within a distance of 0.6 miles (1 kilometer) of Old Town Baeza's heart. 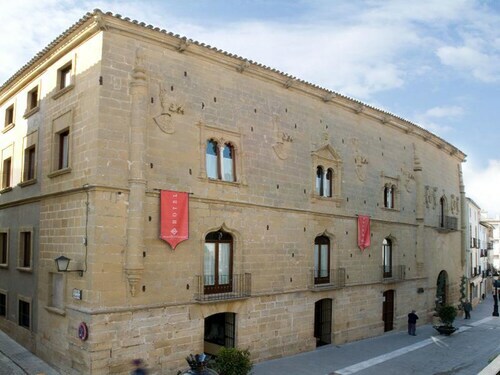 The Parador de Úbeda is positioned 6 miles (9 kilometers) from the downtown area of Old Town Baeza. Alternatively, the Nueve Leyendas is situated 6 miles (9 kilometers) away. The Hotel Alvaro de Torres as well as the Rusticae Las Casas del Cónsul are alternative places to book accommodation around Old Town Baeza. Like to venture a bit further afield? Andalucia is home to many impressive attractions worth seeing. Andalucia has beaches and coastal plains, and other common tourist sights include ruins. Adventurous travelers might get into snowboarding and skiing in the region. 45 miles (70 kilometers) from Old Town Baeza, you can find Alcaudete, which is where you can spend a few hours exploring Castillo de Alcaudete and Iglesia de Santa Maria la Mayor. Alcaudete hotels include the Casa Santa Maria and Apartamentos Turisticos Rurales Vía Verde del Aceite. 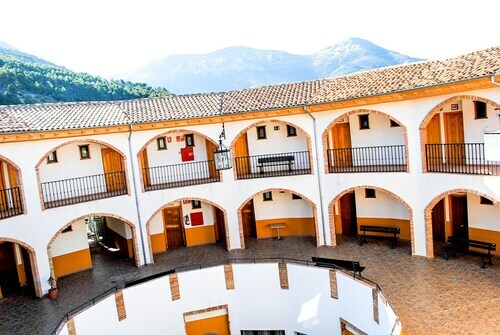 18 miles (29 kilometers) west of Old Town Baeza, you can find Bailen, which features the Salvador Hotel and Hotel Gran Batalla. While in Bailen, make sure you venture to the Monumento a la Independencia and Iglesia de la Encarnacion. Before you and your family leave Jaen, you should make sure you are able to see some local sport. Swing by Plaza de Toros, found east of Old Town Baeza. 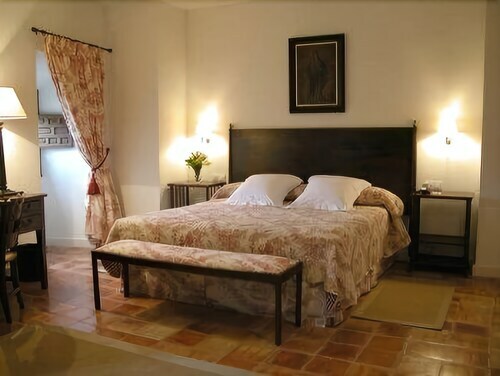 Visitors who like the thought of locating a room in the vicinity, make a reservation in the Rl Ciudad De Ubeda or Hotel Zenit El Postigo. Old Town Baeza offers some fantastic scenic attractions; discover more via our useful Old Town Baeza accommodation and attractions guide. 4.0 Off the beaten path! The hotel was not expecting us which made for some confusion at the start, but they rallied and got our room ready swiftly. We were the ONLY guests at the hotel, so did not eat in the dining room for dinner, but went into town. In the a.m., we left before breakfast started and never saw any of the hotel workers. Room was fine...one double bed and two twin beds with a desk and private bathroom. When I booked this hotel, I thought that being in the national park would provide an opportunity to see animals or learn about the wildlife, but this was not the case. Nice place, but in the middle of nowhere up and down mountains to get there! Palacio de Úbeda 5 G.L.